Our Xenos tungsten ring is great for someone who wants to keep things simple. diamond cut grooves on each side. Excellent choice for the masculine simple man. or cause irritation to your skin. I am very satisfied with the ring. First I ordered a ring that was too big and Tungstenfashions was very willing to work with me to find a solution. Very happy customer with a very nice ring. Normal guy here who does not like to wear rings, but my other half is making me :-) This is a great simple ring and I am glad we went with this style. Perfect, thank you for the awesome shipping! Very smooth and highly polished. Noticeable shine that will last. I liked the symbolism of two groves together as one. Got smaller matching ring for the wife. Hers, sized 6 1/2 was a bit small. Mine, sized a generous fit at 14 1/2. 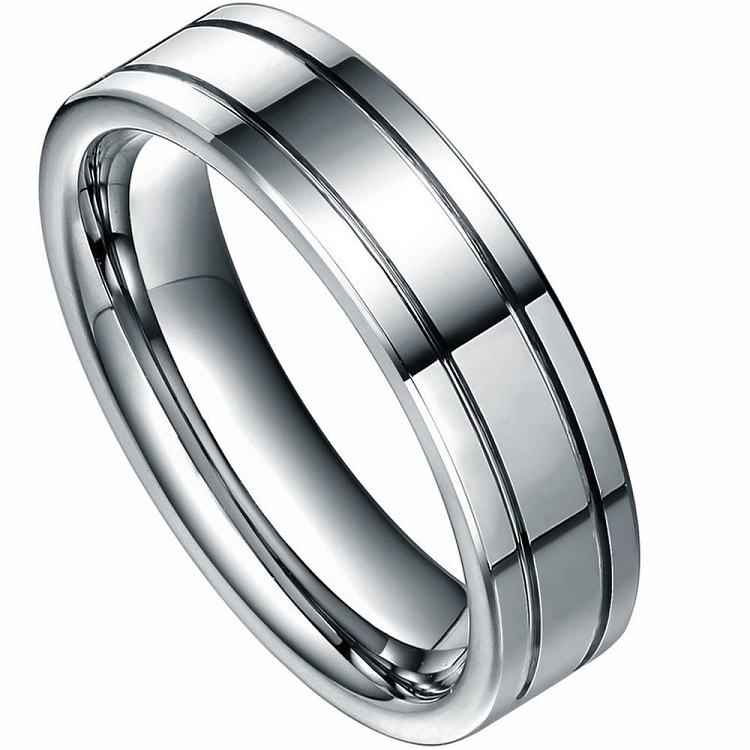 I love this style, it is just a simple tungsten ring. Super fast shipping across the country too, only 2 days! Thank you so much!